Connections to private healthcare, tobacco, fracking, tax havens. Xenophobic and anti-refugee campaign strategies. Staunch defender of the one percent. 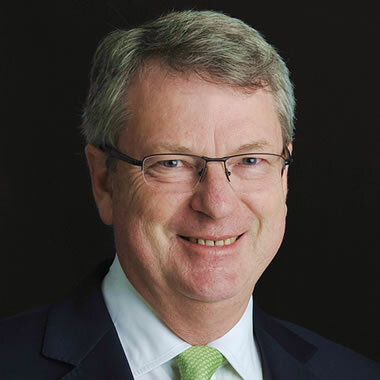 We all want to know more about Lynton Crosby, the Australian political strategist who is now involved in Stephen Harper’s floundering Conservative Campaign and was fundamental to running successful Conservative campaigns in the UK and Australia. What does he stand for? What are his campaign strategies? What are his connections? I’d like to find more time to dig deeper into this, but for now I’ve put together a number of links below and an excerpt from each article. Crosby is seen as a master communicator and opinion shaper, and has become known as the ‘Wizard of Oz’ and ‘one of the most brilliant political strategists of his generation’ because of his considerable success in running political campaigns. He focuses on wedge issues and almost exclusively targeting a campaigner’s base, which will fit well with Harper’s approach. A strategy paper, drawn up by Mr Crosby’s firm CTF Partners and seen by The Independent, proposed targeting key government figures, including the Prime Minister, to enhance the “size, acceptability and profitability of the private healthcare market”. It also stated that “insufficient public funds” were a strategic “opportunity” for private healthcare firms. It added the campaign’s long-term strategy should be “achieving decision-maker recognition that health investment in the UK can only grow by expanding the role and contribution made by the private sector”. “Mr Crosby’s election tactics are deliberately designed to create a degree of xenophobia and fear for ‘refugee invasions’. … Crosby’s Maltese firm, Rutland Ltd, was run from the offices of a trust firm specialising in “wealth preservation”. But Crosby Textor is just one example of a lobbying company with influences in the highest offices that also work for clients with a direct interest in environmental regulation and policy, climate change and campaigns to shape public perceptions. Lynton Crosby, an Australian, has a long history of working directly for conservative leaders. He is known among some British conservative political strategists as the “Wizard of Oz”. His company profile lists campaigns for former Australian Prime Minister John Howard. There have been two campaigns for London Mayor Boris Johnson – the first won Johnson his mayoral robes and the second kept them on his back. David Cameron’s election strategist has denied Labour claims of a “shocking conflict of interest” over his lobbying firm’s work on behalf of private health companies at the time of NHS reforms. Lynton Crosby’s company told its client how to exploit perceived “failings” in the NHS in 2010, based on an opinion poll, the Guardian reported. But Mr Crosby’s firm said this had been “simply research” and “misrepresented”. For Crosby-watchers – which includes anyone with concerns about the influence of tobacco and alcohol companies on policy, fracking firms on the UK’s energy strategy, and private healthcare lobbyists on the NHS – having concrete proof that Crosby lobbied the government is, though, significant. Until yesterday we have had to accept both Crosby and David Cameron’s denials that he has been meddling in policy. We have been able to connect the dots – from Philip Morris International hiring Crosby’s lobbying firm to derail plans to sell cigarettes in unbranded cartons, to the government kicking these plans into the long grass – but never managed to see the full picture. Now we have hard evidence that in late 2012 – just a fortnight before the Tories announced Crosby’s appointment as their election strategist – Crosby lobbied his friend, Lord Marland, then minister for intellectual property and a former Conservative party treasurer, against the introduction of plain packaging.